The combined consumer and enterprise worldwide wireless local area network (WLAN) market segments increased 0.6 percent year over year in the first quarter of 2015 (1Q15). According to preliminary results published in the International Data Corporation (IDC) Worldwide Quarterly WLAN Tracker, the enterprise segment's growth slowed significantly compared to preceding quarters, increasing just 3.0 percent over the same period last year. After several quarters of high single-digit growth rates, the enterprise WLAN market growth rate fell to the lowest growth level seen in years due to the confluence of two factors: education revenues in the US that are likely delayed due to the pending release of E-rate funding for K-12 public schools and general softness in the public sector and in Asia/Pacific during the first quarter of the year. After seven full quarters of product availability, the 802.11ac standard already accounts for just over 40 percent of dependent access point unit shipments and 55 percent of dependent access point revenues, representing a noticeably faster adoption rate then what we saw with the 802.11a/b/g to 802.11n transition several years ago. As Wave 2 802.11ac products emerge in the marketplace during the second half of 2015, IDC expects 802.11ac to become the predominant standard worldwide, both in terms of shipments and revenues, by 2016. Increased demand on enterprise WLANs continues to be a driving factor in this transition. The consumer WLAN market decreased -2.0 percent year over year in 1Q15, reversing a trend of moderate year-over-year growth over the last several quarters. The ongoing transition from the older 802.11n standard to the newer and faster 802.11ac standard has been the driver for this segment. Worldwide consumer 802.11ac WLAN revenues grew 143.0 percent year over year, but only increased 2.1 percent sequentially, which could not offset the declines in consumer class 802.11n revenues (down -21.7 percent year-over-year and -14.9 percent quarter-over-quarter). “From education to healthcare to large enterprise, the increasing preference for wireless network access will continue to be seen, especially as emerging Wave 2 802.11ac will enable more applications to move to wireless," says Nolan Greene, Research Analyst, Network Infrastructure, IDC. “While seasonality and the future release of E-rate funding slowed growth in the first quarter of 2015, we expect 802.11ac's momentum to once again boost the market in subsequent quarters." From a geographic perspective, the Asia/Pacific enterprise WLAN market saw moderate growth, increasing 1.9 percent year over year while the United States, which was impacted significantly by the public K-12 segment of the education market delaying WLAN spending due to expected 2Q15 E-Rate funding, declined -5.4 percent when compared to 1Q14. “Many of the regions saw healthy growth in the first quarter as 802.11ac deployments increased and organisations worldwide are becoming more dependent upon enterprise WLANs,” adds Petr Jirovský, Research Manager, Worldwide Networking Trackers. "However, weakness in the US due to postponed projects and seasonal softness had a material impact on the overall worldwide growth rate." Cisco's 1Q15 worldwide enterprise WLAN revenue was once again comparable to the overall market, growing 2.4 percent year over year, despite declining -16.0 percent quarter over quarter. 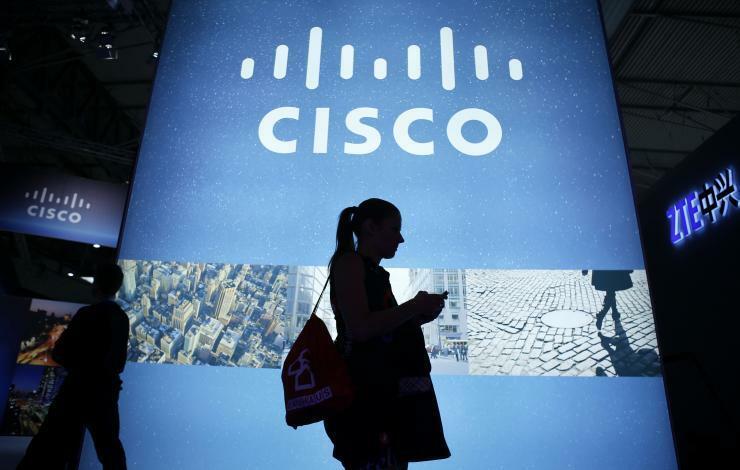 Cisco's worldwide market share fell slightly to 47.8 percent in 1Q15, down from the more than 48 percent share seen in the last two quarters and in 1Q14. IDC believes that the Meraki cloud-managed WLAN portfolio remains one of the primary growth drivers for Cisco. Aruba (excluding its OEM business) was a major bright spot in a weakened 1Q15, increasing 20.1 percent year over year and 0.8 percent sequentially. Aruba's market share jumped to 14.0 percent compared to 11.8 percent in 4Q14 and 12.0 percent in 1Q14. Ruckus performed better than the market in 1Q15, growing 7.2 percent year over year, while dropping 5.0 percent quarter over quarter. Ruckus currently accounts for 6.9 percent of the overall market, up from 6.6 percent in 1Q14. HP Networking continued to struggle as it declined 15.5 percent year over year and 28.2 percent sequentially in 1Q15 with customer uncertainty around HP WLAN given the Aruba acquisition may be playing into this decline. HP's market share stands at 3.6 percent compared to 4.4 percent for 1Q14.